1 How much money does it take to start a school? 2 How much land should I acquire to start a school? 3 What will be an approximate cost of construction (civil work) for a School building? 4 What are the heads should I consider under my Capital Expenditure head? 5 What should do I account under the head – Operational Expenditure? 6 What is a break-even period for a school project? 7 How should one account for the revenues? 8 What should be the strength of my Teaching & Non Teaching staff? 9 What are the nuances of Provident Fund (EPF) for Schools as an organisation? 10 What are the norms laid down by CBSE in terms of students to teacher ratio. Size of the rooms/labs/library etc. ? 11 What are the various facilities I have to account for which conceiving the School’s building structure? These and many more questions flood entrepreneurs/Social Workers / Enthusiasts mind while looking to open a new school. So let us take these question one by one and see if can find answers to all the above. How much money does it take to start a School? All your answers to HOWTS. What is the capacity you are targeting? How do you plan to position your school in the targeted market? Answer these questions and make up your mind how do you imagine the facilities at your school will help you answer this query. How much land should I acquire to start a school? Similarly each of the state board or ICSE, IB will have their own set or requirements. Depending upon your choice of board you can acquire the required piece of land. What will be an approximate cost of construction (civil work) for a School building? What are the heads should I consider under my Capital Expenditure head? Each of these will further can be broken in multiple heads. There is a huge amount of minute detailing involved while planning a thoughtful infrastructure. Please spend a lot of time while going through the list of all the facilities planned and corresponding expenses. What should do I account under the head – Operational Expenditure? Mostly Salaries,Repairs, Maintenance along with misc spends like Co-curricular activities/ Awards/Scholarships etc. A school though doesn’t require too much of maintenance and is unlike any brick and mortar based facility in that regard. But with kids involved one has to be prepared for the damage and subsequently maintenance of the property. What is a typical break-even period for a school project? This is a very subjective call to pinpoint the break even for such a venture. It entirely depends upon the success of the venture and the amount of capital invested. Though operational break even will not require much time to come. For a moderate financed venture meeting moderate success should break even anywhere within 8-10 years time frame. How should one account for the revenues? The revenues come in the form of Fee. In case you are a start up and hungry for admissions, you might find it difficult to recoup the due Fee in due time, be prepared with a cash flow from your end. Some organisation can generate income through renting out the building for other purposes, that can also be accounted under revenues. What should be the strength of my Teaching & Non Teaching staff? For the non teaching staff, you can work out based on your needs and requirements. As far as teaching staff goes, you have to get 1.5 teacher per Section. For example you are running a school form Class I to Class III and each of the class has 3 sections, into-to you have 9 classrooms. Teachers required will be 1.5 X 9 = 13.5 = 14 teachers. Principal is not included in this math. The required qualification for each of the teaching staff and Principal is available in the bye-laws of all the affiliation boards. What are the nuances of Provident Fund (EPF) for Schools as organisation? Any organisation having more than 19 employees is bound to provide their employees with Provident Fund facility. This is a separate topic on its own. To know more, I suggest you go through this blog . What are the norms for students to teacher ratio, Size of the rooms/labs/library etc. ? There is a minimum dimension laid down by the CBSE for Classrooms, Library etc. But don’t get daunted by those numbers as it will all depend upon your intake in each classroom. One should not try to exceed more than 45 students in a classroom. (i) Class rooms – minimum size should be 8 m x 6 m (approx 500. sq. ft.). (ii) Science Labs. (Composite for Secondary or/and separate Physics, Chemistry and Biology for Senior Secondary)- minimum size should be 9 m.x 6 m.each (approx 600 sq. ft) and fully equipped. (iii)Library – minimum size should be 14 m.x 8 m. fully equipped and with reading room facility. Besides this there could be separate norms for different state boards, please get a thorough understanding of these prerequisites before planning your building. What are the various facilities I have to account for which conceiving the School’s building structure? sir i have planned to start a new international school from pre-kg to 5th std. i have 1.5 acres land,can you say me how many classrooms basically i need with all staff room, restroom etc. There are no fixed norms for IB School, the word here is ADEQUATE. Sir,I run playgrop to class 2 in my 4700sq.ft area.is it possible to get affiliation? Because my school in slum area so they can’t afford fees but I want to give him some numsome ount also students are 80 / sc.pl help to our students for good education.if not then give me about distant education. CBSE affiliation is not valid for Play Schools or Pre Schools. I saw your blogs and they were very useful. Thank you so much for effort. We are in the process of starting a Residential CBSE school in Kodaikanal, Tamil Nadu. We are buying 2 acres of land which is little far from the town and we feel that it will be difficult for local KG students to travel this distance. So, we are thinking to run the lower classes (nursery to II std) in a rental building within City and the remaining classes (III std to X Std) in permanent building. Will CBSE board allow to run in this way with Single affiliation? Your advice in this regard is highly appreciated! hello sir, plz inform difference between NIOS and other board. my email id is rrbaig60@gmail.com THANK YOU! NIOS is National Open Schooling, this is primarily meant for students who dropped out from schools during their secondary and higher secondary education, whereas other boards are also about academics and ensuring the infrastructure of the schools. I have a nursery school. please guide me how to start a maharashtra state board primary school. and school building rule. This is Ravindra Joshi. I read your blogs on internet, which helped me a lot for starting a school project. Abiney my situation is somewhat different please help me in this regard. One of my known person is running a school in a district which is running since 1997. The school is up-to class 9th and state (Uttarakhand) board affiliated. I have a dream to open my school but due to short of fund I am always lagging behind. Now he is giving me an offer to open a school as a sister branch of his school in a different district of same state with a different name. It will be basically a branch of his school, as some companies doing the same like Pepsi co. Lots of its products are available in the market. With the help this concept I’ll save society registration money, state board affiliation money. Is this formula feasible? I thought you are the most suitable person to ask the question. Please Abhiney help me in this regard. I will be so thankful to you. Thank you very much for you help and precious time. You are right when you say you will save on registration cost for the society but you also run the risk of being governed by a body on which you cannot exert complete control. So it is up to you. Secondly each and every school has to get them affiliated separately so here you will not be able to get any advantage from the school which he is already operating. 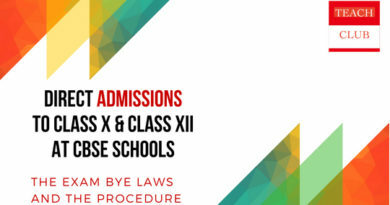 The only advantage you are going to get is – in case if the already existing school has some brand value which can help you to garner admissions. I hope my inputs will help you. I am seeking for your kind help. Please help me in this regard. Sir I was hearing somewhere that there are some government schemes running in India in which government helps you for opening a school. Please tell me, are there some schemes available in India by which we can open an school with government’s help. Like as for giving education to poor girls and other children? If there please tell me about them or please provide me any source by which I can research in this regard. There are several such schemes with various state governments which they implement to help people from backward castes and region. Though their is not a single point source to receive this information. I suggest you get in touch with the District Education Office and also try meeting some IAS level officer in the secretariat. This shall help you in get a know how of the existing scheme. Thanks for the wonderful and detailed article about setting up schools. 1. I have read that for setting up the school, the first thing needed is a society or trust which acts as the governing body of the school. which one is preferred society or trust? 2. do we need to have a society / trust even for schools upto kindergarten? 3. earlier for schools upto kindergarten doesn’t need any permission for operation. has this been changed after RTE Act? Thanks for going through my questions and helping me. Thanks Aviral, I am glad you liked my blog. 2. do we need to have a society / trust even for schools upto kindergarten? – No you don’t. Though check with the local DEO Office. 3. earlier for schools upto kindergarten doesn’t need any permission for operation. has this been changed after RTE Act? – No, rules have remained the same. RTE comes into action only when a student has achieved the age of 6 years. could you please update the basic salary figure as o n date for the EPF purpose. and also is there any ruling on minimum salary of the staff. I am interested to start state and CBSE board in one campus. Is it allowed to do so. and I too want to start only 11th and 12th class in another campus. Will you please guide me in these matter. There are schools who do it, all you have to do is for CBSE is to show them separate facilities as required by them. i want to open a playschool+kindergarten in a rented home or building. 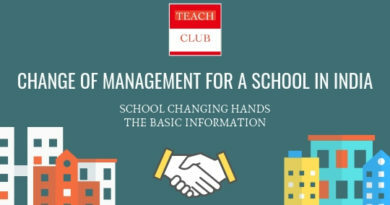 what permissions do i need to start the school? do i need any affilations for that? is there any minimum area requirement for that? You do not need any affiliation from the State Government. About the permission check from the District Education Office, as laws are changing every now and then. There is no minimum area which is specified by any board since they do not cover early childhood education. 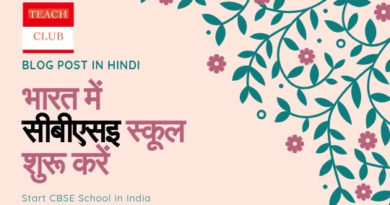 i am much intrested to start CBSE school in Faridabad. i have 2.5 acer land in rural area . I need 12th standard school, but in starting i want to start from 5th standard. In your website, you have written that the approximate capital cost is Rs 1200/- per sft but have not said how many sft will be required for a typical K10 school, so it is very difficult to estimate the capital outgo. Can you give an idea ? Also, how much would be the yearly expense of running a typical K10 fully functional school with about 1000 students ? The school would like to have Art & Craft/ Activity Rooms, Music rooms etc. So now the way you want told sign each of these rooms, the SIZE of it, the number of them, facilities within each of them is a discussion laden with lot of subjectivity. Hence the refrain. I have already explained the cost heads in my post which I believe is helpful for someone to put the expenses together. Salaries vary from place to place and so is the requirement of manpower based on size of the campus and facilities. As an Edu-repreneur you will have to get fixed on the idea of the school, the vision first post that you will be fathom the operational cost of the project. I understand as a reader of the book one would look at simplistic answers but since there is so much to think, plan and decide it will be wrong to mislead by generalising complex decision parameters. Im planing to start new school with classes from Nurser to III. Does it require any affiliation? Education is a state subject and CBSE also only gives affiliation once state has approved and affiliated the school. So you will have to check with your State Education Board. The state education board is represented by the District Education Office in every district (DEO). Mostly the case is you don’t require any affiliation to start from Nursery to Pre Primary / KG II. From Class I onwards you definitely need state’s permission and affiliation. Check with the DEO. 1. My school land is 300 Square Yards? Is it enough to get CBSE affiliation? 2. Will it be possible to get CBSE affiliation for the year 2016-17 if i applied for now? (if all norms satisfied). 3. How much money i will have to spend on CBSE affiliation? 2. Will it be possible to get CBSE affiliation for the year 2016-17 if i applied for now? (if all norms satisfied). – The date for application was 30 June 2015 to get affiliation for session 2016-17, so that is gone. You can now apply till next June for academic session 2017-18. Online link for registration of new applications for the session 2017-18 will remain closed during the period from 1st July,2015 to 31st December 2015 and same will be opened from 1st January 2016 to 30th June,2016. Your Comment Here..Sir is there any government deposit to open new school . Government in certain areas help by giving land for free to trusts and societies or help with subsidised land. Other than this there could be arrangements but I am not aware about it. Min. requirement of employees in order to apply for PF is 19? right? Does this math include drivers/helpers of the school buses as well? PF registration means getting the TAN number.. right? If yes, then on whose name this TAN number should be issued.. School or Society? As currently we have the PAN card for society only and not for school. Also we have filed ITR last year for society only. Is that the correct way? Or we should file the ITR for both? Your suggestions are really beneficial for me. 19 is right for an organisation to qualify for Provident Fund registration. This includes everybody on the roll. For a society TAN is not required only PAN will do. How can you fill return for school, I am assuming the society is only running it and whatever your Chartered Accountant has made must be taking into account the transactions of school only. Thanks for asking this question on the post about the CBSE-i, intact I am planning to write a separate post on this topic very soon. I think CBSE-i or CBSE affiliation procedures are the same. All it requires is a change in the educational curriculum. There is an addition of certain subjects which helps a school to qualify for CBSE-i curriculum. Which one is better CBSE-i or ICSE, I think CBSE is better. i want to start CBSE Cirruculum School from Nursary to Std V, But right now i have only 0.42 Acre, Will i get affiliation from Jharkhand Board first? Yes you have to get affiliation from the state board and then shall apply for CBSE. Dear Seema, by matriculation do you mean to say your state board school? Dear Seema, Really cant understand the question. Can you kindly elaborate. how i can start school without noc? You cannot start a school without STATE BOARD’s PERMISSION. Does this 1:1.5 class- teacher ratio include PTI,LIBRARIAN and Computer teacher too? Please guide. Yes the Librarian, PTI and all other are included in the list of teachers when we calculate the ratio. On the Provident Fund part my suggestion is if you are going above 19 do not dodge the issue but apply to become a Provident Fund compliant organisation. It helps if you start from the beginning in terms of systems and processes. Thank you very much for the prompt response .My other query is, our Science lab (composite) is 500 sq ft in area.Will this lab be accepted or i need to construct a new as per norms ? The time for inspection is due in a month or so. So far IC has been constituted but cbse website has uploaded the letter with few mistakes .Waiting for correction hence the delay . 2. Our library is 750 sq ft in area with 1500 books in it. Total students strength is around 500. Is the library size objectionable? We have 2 small rooms of 250 sq ft each attached adjacent to the 750 sq ft library with separate doors .Can such adjacent rooms be counted for fulfilling the library size requirement as all three rooms are adjacent and in continuity ie Room no. 1 = 750 sq ft.Room no 2 =250 sq ft ,Room no. 3 =250 sq ft. .
What should be the size of Principal’s office? Any norm in this regard? Please enlighten. There are no norms for Principal’s room. Read the Bye Laws it is all given there. Land required is 2 Acres, there is nothing called direct affiliation. You have to first secure State board affiliation and post that CBSE affiliation. The steps are already listed on my post. Sir, kindly let me know is there any land requirement criteria for opening 1 to 8 school in up. I am from budaun (up),i run a school up to 6th standard this year,we want some different types of consultation relating school. are you also give the consultating services if yes than send your related terms and conditios. initially i planned to start LKG & UKG for the academic year (2015-2016)in pondicherry and then for I STD to V STD in the year(2016-2017). Dear Mr. Singh, All the information is already there on the post. Let me know if you are having trouble understanding something. Good Evening and thanks for really provide such an important things which are need of so many person (I am also searching) . I am also interested to open a school from Nursery to Vth with 30 Student/class only. So is it possible to start with them without affilation of Board? No this is not possible, to begin with you have to procure the affiliation from the state board. Kindly go through my blog posts once again to understand the process. I saw your well elaborated blog on starting school… Its really great.. Thanks for writing in all details. But I have question .. Since land required is 2 acres, can we spilt these in into 2 part, showing 1-1 acre at slightly different location.is it possible ? I mean two- three parts of land which add up 2 acres or more! Thanks Rashid for words of appreciation. The answer to your query is ‘NO’. it’s clearly mentioned in the bye-laws that the land has to be a singular patch of land. information on my email rrbaig60@gmail.com Thank you! Yes you have to start the school on the same patch of land. Really, nice blog. Got lot of info. I was looking for something like this. We are also planning a similar project. Thanks for reading and kind words. Best of Luck. I want to start a school with my Russian friends in india in Maharastra. How i can start school up to 8th class and who to get CBSE affilation ? Dear Mr Pathak, its great you are thinking of starting a school. I suggest you go through my other blog posts which will help you to understand the steps required in order to start a school. I intent to start a school with CBSE affiliation. I want to know whether I should first get the affiliation granted or commence school and wait for affiliation? First start the school with affiliation from the state board, than apply for CBSE affiliation. Please mail me your contact. I would like to speak with you. I have a nursery school . Please guide me how to start a C.B.S.E primary school . Which documents will be required ?